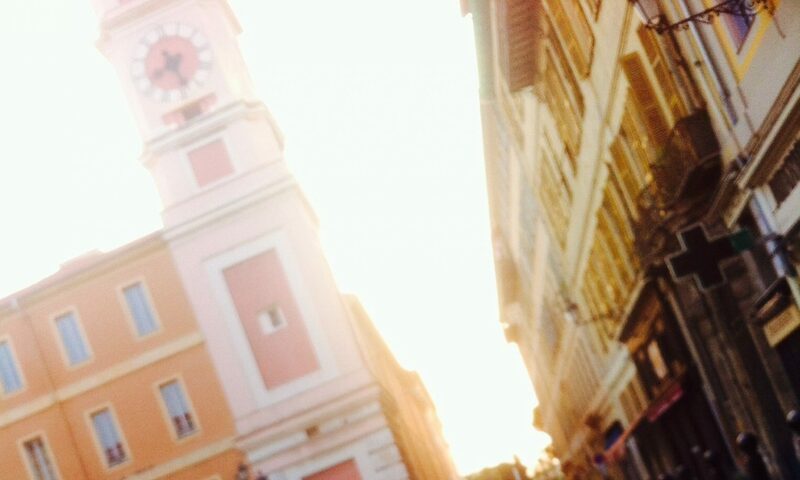 In November last year I came to Nice. My old Amour. Since that day I’ve met so many new people, made new friends, truly reconnected with old friends and started up my new initiative DBA. So this is a story on how everything is always magically wonderful? Well, actually it is not. It was a bumpy journey. It is one year now and I promised myself to write this blog when my first year is over. So here it comes…. My working life has always been important to me. I work hard, put my heart in it. It has never been about making money. Even when I did, made a lot of money. And yes lost it all. Nothing is permanent or for sure in life. The first 15 years of working were at IBM, what an university for me. Man, I learned a lot. The lessons started when I had to go to Vienna when I was 23. It never stopped. Wim, you go to an international meeting and present how IBM in the Netherlands is doing this project as the whole of Europe comes together to meet. I remember it, still do. Never ever been so nervous to go and do a speech. Felt lonely, scared and thrilled at the same moment. I am an introvert so I don’t show, but believe me I was terrified. The meeting started with a couple of other French, Italian and Spanish rookies who did their presentations. As English is not easy for them, their presentation were difficult for them to do. That somehow made me more relaxed, I can do this…. So. I did. Have no further recollection of it, guess it was the tension that got me in hyper mode and even shut my (normally very sharp) memory on important things (…) down. What did I learn that day? You can doubt, overthink, avoid or procrastinate the things you fear. It will get you nowhere, not as an employee and most certainly not as an entrepreneur. As Nike claimed: Just Do It! Everything you fear fades away when you actually do it. You grow and develop. Fear is a bad advisor. Been very lucky. Could work in the Personal Computer division. What a big lesson on how to build a brand and a business from scratch. IBM just invented the PC. We knew nothing. Had no market, no experience, no e-book, no 8 rules how to, no benchmark. Wild west in a big unknown territory. I loved it. I learned that innovation and exploration is one of my life long areas of interest. We introduced PC-privat projects to large accounts. We introduced home banking to consumers. Lucky to be there. Lucky as in those days we could even instant message real time with any IBM-er in the world. Yes I was already online in the 80-ties! I ended my days at IBM as a Business Development Manager. Had a great time and in the millennium year 2000 it was time to go. I left with a golden handshake as they call it. Why? because I wanted too. In my private life I lost both of my parents at the end of the 90-ties after years of taking care of them. They were both not healthy to say the least. I was suddenly an orphan?, a strange feeling when you take care of people you love and suddenly you don’t anymore. Time for a change! So I quit. Also because I could see that the PC division was at the end of its days. Two years later the Chinese Lenovo bought the entire PC business. End of story. I was lucky. My entrepreneurial journey started. What an university again, but this time the lessons where about me! I found out that you really need to develop yourself to succeed as an entrepreneur. Had to learn how to sell (without the IBM badge that opened any door), how to promote, how to manage employees, how to do taxes, how to….well you know. All the stuff you need to do when you work for yourself. I’ve a business economy grade, that helped. Can’t imagine how much and how fast an entrepreneur must learn to run a business without it. All the rules, in the Netherlands, are just wow….one can hardly keep up. But one does what one has to do. We are impressed by the positive development since the restructuring, Well done. However we have decide to eliminate all risks from our outstanding loans. That’s a phrase to be read like: we just declared your company bankrupt because we immediately block all your accounts. You can not do one transaction anymore. Can’t pay the rent, can’t pay your employees anymore. So, there you are. Bye bye dream. As in being me, I just could not settle for it. Two weeks later I took the best professionals from this company with me and started a new one. We had a blast in the beginning. Won every client we laid our eyes on. What an energy. Cowboy days were here again! Wonderful time we had. Until…the economic crisis hit us. Suddenly I lost 65% of the monthly revenue. Month over month. It was like the whole small business market collapsed. On me, at least that is how I felt it. I took a risk there. Worked for six months for nothing, to be able to pay my employees. Worked like an idiot to save it. And failed. It went wrong. Another phase closed. Lessons learned. Time to give up? Hell no! I went on with one top designer. We formed a duo and kept on believing in making a difference and create value. However bad things come in threes. She became seriously ill, had to stop working and we had no idea if she would even recover. For me, this was one out of three too much. I just could not handle it right. Made every mistake possible. It completely burned out. Lost all my financial reserves in the process. Had no reserve anymore. Not financially, not emotionally and not physically. Lost my house in the End. Homeless. I took me three years to get back on my feet again. This year in Nice has been the best since many years for me. I decided to come to Nice as I needed to leave it all behind me. Not to run away from my responsibilities, no! I needed a new perspective, literally. A wide new fresh view on my life. So so happy I did it! Every disadvantage has an advantage. Never ever give up on yourself. Take care of yourself first. Just like in the airplane, you take the oxygen first to help others. I made that mistake, I suffocated by it. Do not make my mistake. Take care of yourself first, otherwise you will lose. Do what you love to do. This whole story brought me the best gifts ever: real friends, a newborn eye for little things that really matter and tons of joy to be here in the now. How? Because I decided to do what I love to do again, no matter what. It is rooted so deeply in me now, it cured me. Literally. Now I make it my business to help others to achieve the same. The future is not the sum of the past. No matter what happened. You can’t change reality but you can change how you handle it. Yes, look back. But remember when the rear view mirror becomes larger than your (front view) windshield in your car of life or business, you have no idea where you are going and you will eventually hit a wall. Could feel the courage, passion, and generosity through your post, Wim, as I felt it when I attended your workshop in Nice. I am so grateful for having met with you and so thankful to learn from you. You are a “Standing Man”, Wim, and you can only multiply successess… So YES, you are lucky, and so are all those you connect with! Thank you so much!